The Panasonic WJ-ASC8501 has been discontinued. No direct replacement is available. 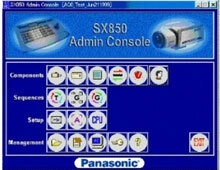 The WJ-ASC8501 administration software is principally used to configure the system 850, program its functions, such as Tour SEQ, Group Preset and Alarm, and to back up the entire data of the System 850.